Milwaukee Asphalt Paving & Maintenance Services | Commercial Asphalt & Concrete Contractors | Asphalt Contractors Inc.
Asphalt Contractors Inc. serves Milwaukee County businesses and homeowners with the highest quality asphalt and concrete services in SE Wisconsin. We take pride in installing pavements that last; and provide repair and maintenance as needed to maximize your investment. Whether it’s a commercial parking lot or a residential driveway, ACI is the right choice! Contact our asphalt contractors to discuss your pavement and get a free estimate. Commercial Asphalt Projects – Get a Quote Today! A high school running track – our contractors designed and installed an incredibly functional and visually appealing running track around a high school football field. Local veteran’s bar – seal coating their older asphalt parking lot, we custom striped motorcycle stalls for more effective parking during the biking season. 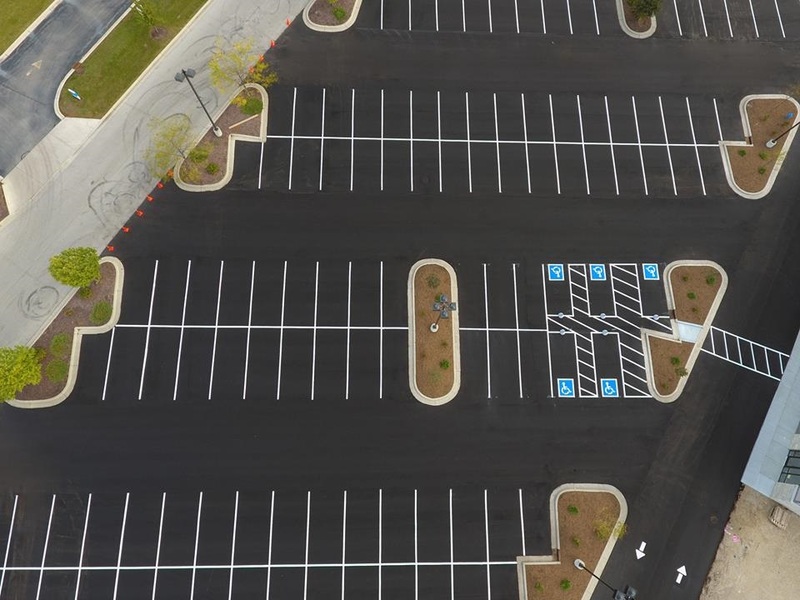 An outlet mall – we can pave and maintain any type of mall parking lot, big or small; helping you control traffic with visually appealing, smooth asphalt. We also provide reputable concrete services, including driveways, curbs and gutters, and walkways. Contact Asphalt Contractors Inc. to learn more about our asphalt paving and maintenance services.